Wilmington, Del. — Gov. 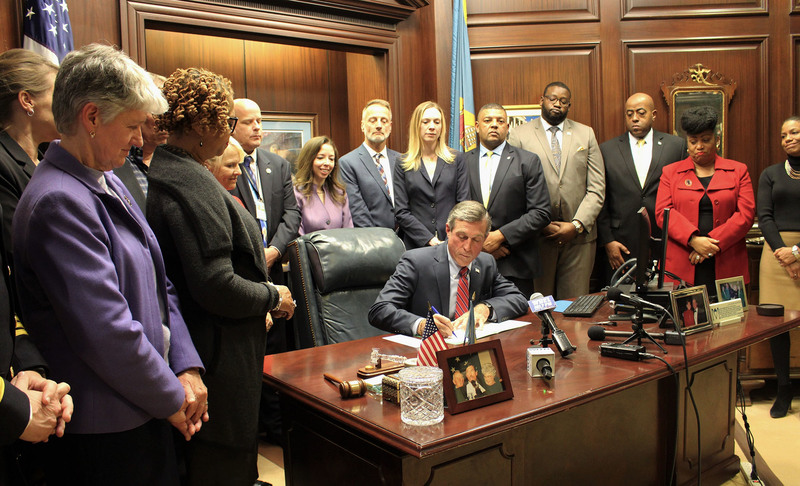 John Carney on Tuesday signed Executive Order #27, which focuses on improving reentry procedures for incarcerated individuals in Delaware. The Executive Order creates a commission focused on reentry reform, policies, and procedures, with a goal of helping former inmates more successfully reenter their communities. The Order will more effectively coordinate service delivery, strengthen data sharing among agencies, create a comprehensive reentry protocol, improve the availability of academic and vocational programming prior to an inmate’s release, and strive to reduce recidivism in Delaware. Press release and picture originally published on Delaware.gov.